How I do like a bit of pork… Yep – steak is always great, but give me a nice bit of roasted or grilled pork any day – YUM. 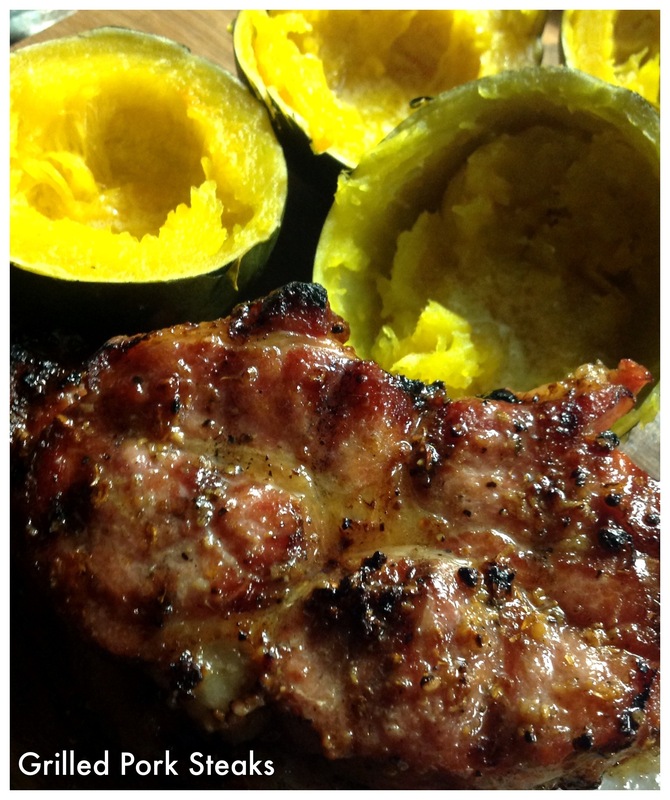 Ok, so with quite a busy weekend behind us, I’m now catching up a bit from last week and posting this delicious rubbed and grilled pork recipe. Dry roast the coriander & mustard seeds in a pan until nice and toasted. 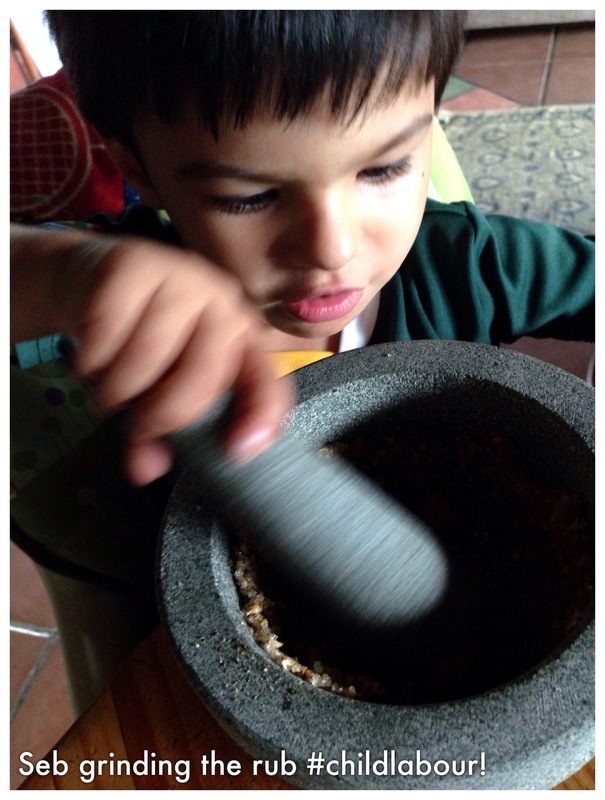 Place everything in a mortar & pestle and get your young child to grind everything into a nice paste. 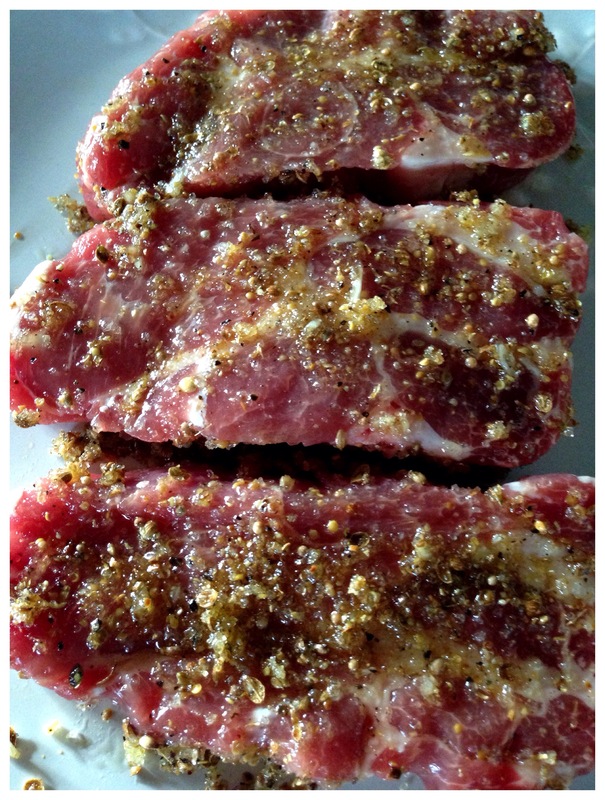 Use thick pork steaks with a bit of fat running through it and rub generously with the rub. Let them ‘marinate’ for at least an hour before grilling, just to give all the flavours a chance to mingle and absorb into the meat. Braai or grill the steaks on a hot grill, turning every 5 minutes or so until they are cooked, but still juicy, and a nice golden brown colour.